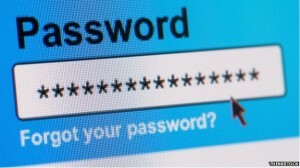 Home » Blog » How Can You Keep Track of All those User ID’s and Passwords? How Can You Keep Track of All those User ID’s and Passwords? We install AV systems and home networks for a lot of people. Like everyone else, most have a challenge keeping track of their user ID’s and passwords for websites like Netflix and Amazon, the Apple ID to load a new App, the Wi-Fi password to login to their network, the Router password to update the network. It is not unusual to have a password-protected account on 100-200 sites and services. There are a lot of ways to keep track of these including a paper notebook, an electronic spreadsheet, or sticky notes on the wall. Web browsers will keep track of some user ID’s and passwords and enter them for you. Some people use strategies like selecting one (or as few as possible) user ID / password for everything. Eventually, when a site is hacked and millions of user ID’s and passwords (including yours!) are stolen; it becomes clear that one set of credentials is not the way to go. There is a better way that I was forced to find several years ago when a little used email account of mine was hacked by a couple people in Russia, and then LinkedIn disclosed masses of client information. I’ll share my solution, experience, and some advice below. After researching the market, I settled on a solution called 1Password. There are a handful of products that solve this problem, and at the time, I felt 1Password was best for my needs. It has a low cost license that can support a single user or multiple (household). It is from a company called https://agilebits.com/. In a nutshell, this system allows you to record in the 1Password app (which you install on all your computers, smartphone, tablets, etc) your account information for web sites, financial services and accounts, computer devices, software, pretty much anything you wish secure and make available on these devices. This database is encrypted and you need the “1 password” you create to unlock it when you wish to look up information or use the app. Most importantly, it is replicated and synchronized (via Dropbox) across all your devices automatically. You add or update an account on your desktop computer, it is instantly available on you on your smartphone and tablet. So if you have a phone with you, you have all that information available. The system will do more than simply let you look up the information. It has a plug-in with most web browsers to allow you to load and automatically fill in the current credentials for your web sites (again you supply the 1 password). On smartphones and tablets, it doesn’t have browser plug-ins, but it does have its own web browser you can launch from within the app. There are many other features offered in the app, but I’ve highlighted the most important for most people. Finally, this is NOT a solution that is simple to implement. The problem is hard and it takes some time on your part and a little bit of computer skills to learn, load, and use this system. If you invest the effort, your life will be much easier and more secure, but it does take some effort. There is a free test version you can try.